Please make sure to retest and mention the state of the issues that were found testing the previous release Tests for 0.4.4. Please start comments with the version you tested on (e.g. 0.4.5-RC2) and your name. (Addendum after the 0.4.5 release): Contributor 'matthiasbasler' ran in parallel, comparison tests on 0.4.5 and compared them with 0.4.2: please see the forum thread Additional software tests. 7-Zip 15.14 Works Works 0.4.5-RC1 ThFabba: Installs fine, explorer context menu items immediately available. Creating and extracting archives from the menu works well. Toolbar/addressbar in the UI initially not painted. Drag & drop extraction to explorer shows Forbidden (CORE-11239), drag & drop into an open archive works. Options dialog looks good & works, affected by Tab control issue CORE-4245. Not sure about BSOD issue CORE-12180, but do not have good repro steps and may be blocked by broken drag & drop. Apache OpenOffice 4.1.2 Works Works 0.4.5-rc2: elhoir: tested 4.1.3 actually under vbox 5.0.40. In debug mode i had to move mouse during installation step. Otherwise it almost hang. BitTorrent 7.10.0.43581 Works Failed MVoloshin71_RC2: Very buggy, has many graphical glitches, i.e. unusable. Java Runtime Environment (JRE) 7u80 Works Failed 0.4.5-rc2: elhoir: installation works, control panel icon is in place. But when i double click on it, nothing happens. Kindle For PC 1.15.43061 Works Works MVoloshin71_RC2: Installs and runs fine. Lazarus 1.6.0 Works Failed 0.4.5RC1 reactosfanboy: installs & runs, REGRESSION: missing button caption on IDE start page & missing button captions in the "save changes"-dialog CORE-13170, minor: on configure Lazarus IDE start-page tab-sheet-switch via keyboard breaks mouse-down CORE-4245. 0.4.5RC1 amber: automatic change of language the IDE does not work CORE-13128. Lazarus logo draws rotated CORE-13273. LibreOffice 5.3.0 Works Run w/o result MVoloshin71_RC2: application process is present in the Task Manager, but nothing happens. NOTICE: download link in Rapps is broken. PDFSam 3.0.2 Works Failed MVoloshin71_RC2: Requires Java 8, which does not seem to install on ReactOS. TortoiseSVN 1.8.12 Works Works Ril 0.4.5_RC2: Installs and works. Watercolor Theme 4.3 Works Works MVoloshin71_RC2: Installs and works fine. Adobe Reader XI Works Works MVoloshin71_RC2: Installs and runs fine. Cannot start in "Protected Mode". Has insignificant glitches. amber: wrong rendering settings window CORE-12139. Apache OpenOffice 4.1.3 Works Works MVoloshin71_RC2: Installs and runs fine. Has insignificant glitches. Aston shell 2.0.4.1 Works Failed MVoloshin71_RC2: The application failed to initialize properly (0xc000007b). 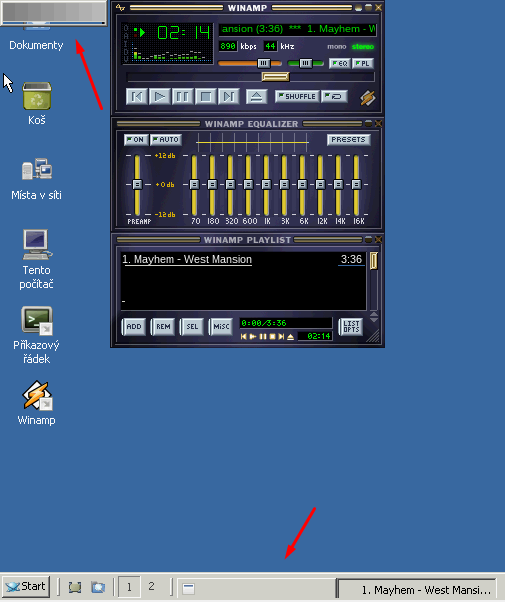 foobar2000 1.3.15 Works Works MVoloshin71_RC2: Installs and runs fine, plays music. Google Earth 7.0.3.8542 Works Failed MVoloshin71_RC2: Map is not visible (or is not rendered). Microsoft Office Standard Edition 2000 Failed Not tested MVoloshin71_RC2: Installation ended prematurely because of an error. Microsoft Office Standard Edition 2003 Works Works MVoloshin71_RC2: Installs and runs fine. Has insignificant glitches. Microsoft Office 97 Failed Works amber: Installer not worked (16-bit:CORE-12549). Applications from installation folder run with some errors, like: CORE-13189. Tested Word and Excel. .NET Framework 3.5 (SP1) Failed Not tested Anton Stankevich 0.4.5_RC1: Installation failed after downloading setup data. MuseScore 2.1 Works Works Anton Stankevich 0.4.5_RC1: Score editing is ok. It have minor issue: main menu blinking when repainted. Sound output not tested. Possible it can have issues. Picasa 3.9 Works Works MVoloshin71_RC2: Installs and runs, but has font corruption issue and can cause system lockup. PostgreSQL 9.3.5 Failed Not tested Anton Stankevich 0.4.5_RC1: Setup failed with memory read exception. Unreal Commander 2.02 Works Failed MVoloshin71_RC2: Several memory read and write exceptions. WinDjView 2.1 Works Works MVoloshin71_RC2: Installs and runs fine. Successfully displays DJVU documents. WinRAR 5.30 Works Works MVoloshin71_RC2: Installs and runs fine. FBReader 0.12.10 Works Works Anton Stankevich 0.4.5_RC1: Installs and works. VMware Workstation Player 12.1.1 Works 0.4.5-RC1 ThFabba: VMware Tools setup with Typical settings complains about framedyn.dll (CORE-7457) and hangs at the end (cannot cancel, but everything seems fine if you just kill the process). Shared Folders work nicely. The hung setup does not seem to successfully install the graphics driver, but when running setup again and installing the SVGA driver only, it works fine. A quick test with the maximum resolution, 3840x1920, shows no problems. VBox 5.1.20 Works 0.4.5-RC1 ThFabba: VirtualBox Additions setup with default settings (no Direct3D) runs without issues. After reboot you end up in 1024x768x8bpp, but switching to 32bpp works fine. Shared folders work nicely. This page was last edited on 29 January 2018, at 06:22.